Jacques Dessange Salons take the high fashion of hair from Paris all over the world. More than a thousand salons in 45 countries are determined to bring out the best in their customer's hair with their own innovative approach. The signature hairstyles are sophisticated, elegant and a lot of fun. They are wearable, fresh and of luxurious, cosmopolitan flair. As stylists of the Stars the Dessange Teams offer the most modern styles and techniques to every woman who knows that she deserves the best. A highly refined line of nourishing products for hair and skin complete the one-stop-beauty shop approach. Dessange approaches the woman who is confident, strong and sensual. The styles are feminine and soft, at the same time they radiate independence and a zest for life. Volume is important and often enhanced with hair extensions. With the new collection Dessange presents feminine hairstyles radiating Hollywood glamour of old and new days. 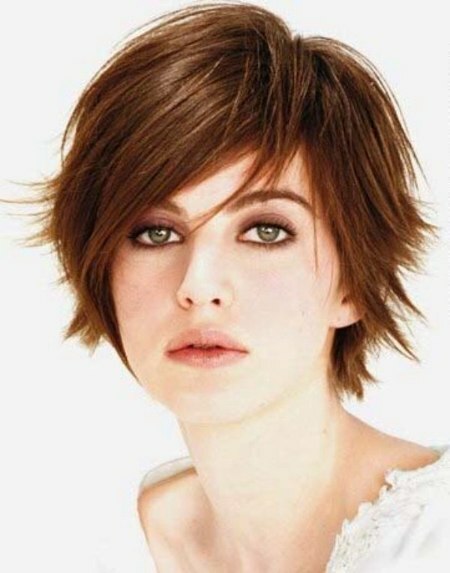 The hair is soft and full of motion with long fringes, curly or straight and shines in natural, healthy colors.